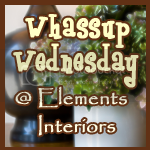 Elements Interiors: Whassup, Whassup? GOLDFISH??? Thank you for being a great hostess! Off to add your bloggy button to my ParTy page. Love to visit your blog! Also love your studio, looks like you have plenty of room. And it is clean!!! lol. Mine finally is to and I am ready to make another huge mess. 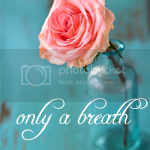 Your floral designs are beautiful! Um yeh, I don't have a thing to link! Everything's still decorated. It stays that way through the weekend after New Years. I leave everything up through the Ephiphany. I can't wait to see what you do now that Christmas is over! Hey there Kara~ linked up a few favorites from the year~ thanks for hosting! thank you for inviting me to your link party!! you are very talented! 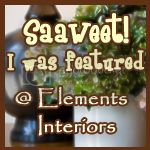 i loved looking through your blog! texas rocks!!! Seriously, I cannot wait to get everything in order...am so anxious! Glad you had a blessed Christmas ~ we did. Thanks for the sweet comment on my stamps. I linked up my tutorial. And am now your newest follower! 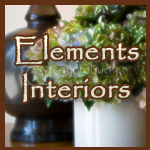 Thanks for hosting and look forward to browsing your blog! 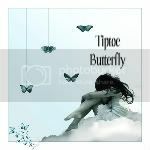 Thanks so much for visiting and FOLLOWING my blog! I am so proud to say my house is clean and Christmas free as well, it feels so nice. I love a good linky party so I threw my sandwiches on there and will link often. Thanks for hosting! Well, wouldn't you know you would have Christmas all packed away? And I still have one more Christmas (belated and bedeviled) Christmas party to give...plus the grands are spending the weekend and they LIKE Christmas. Just wait..one day your life will NOT be your own and you will be prancing and dancing to a grandkid's tune. Trust me on this. Other than that I suppose you have counted all your baubles and bows and you tucked them away for next year...and I hope you took a shower before crawling into bed...otherwise ...someone you know and love will head to work and the BIG BOYS will all make fun of him with the glitter in his hair. Hi I am a new follower and am partyin' at your link party. Happy New Year! Thanks so much for stopping by! I am following you and adding your button to my line up! WOW Kara! You really know how to make a girl blush! Thank-you kindly for all your sweet comments! I've been browsing through your blog and enjoying your posts. I love your sense of humor!!!! It took me forever to figure out what "Issaww-ite" meant. not even realizing you broke down in the parenthesis!!! hehe! I'm so happy you stopped by today! Wishing you the best in 2011! Love your blog! Thanks for stopping by to say hi! Not sure how I found you but I'm glad I did. I love your writing style...you're rather funny! I'm linking to your lovely party and of course I'm a new follower. 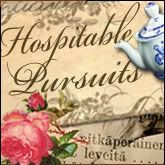 Thanks for inviting me to your blog! And I appreciate the follow too! I have signed up to follow you and have added my calendar to your link party! Great blog! Ooh, thanks for inviting me to your party! I love your blog, you make some gorgeous stuff and your writing style is so funny. :-) I'm definitely going to follow you back. Oh, and ps--yeah, I occasionally hear that I look like Julia Roberts. Especially from my mom. :-) Thanks for the compliment, you made my DAY!!! Looks like I'm going to have to join in this fun sometime soon. My friend does it-you may be seeing me in the future-Happy New Year! It's fun to get back on the party train and thanks for hosting!